Today the corporate world has set its focus on social impact & change for true sustainability. It is making efforts to reach the minds and hearts of the humanity at large. Brand Radianz practice will help in this quest to empower social sustainability goals & celebrate the concept of social good in life. Absolute corporate citizenship is the new role for participative engagement. Brand Radianz practice will effectively cultivate the social thought for social change and drive it forward. Brand RadianzTM delves on bringing behavioural change, which brings lasting impact in the society. Storytelling is at the heart of Band RadianzTM practice . A good story well told can truly make a difference in how one sees the world. Stories have the power to truly inspire social change. Behavioural Economics and Social Marketing are both empowered with the practice of Brand Radianz. Brand RadianzTM encourages Brands to evolve & nurture the much required Radianz in the world today. Brand RadianzTM is about structuring a practice of shared values to reach CSR goals and beyond. Brand RadianzTM is about building a synergy between the brand purpose and [ME] of the society. 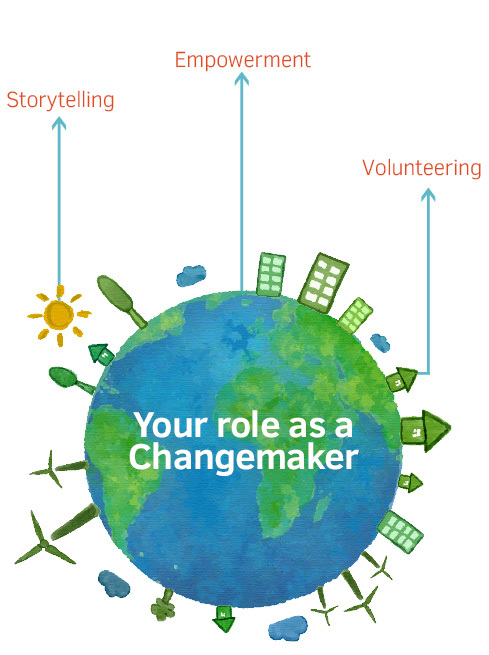 Brand RadianzTM empowers people to believe in themselves as changemakers and make the world a better place.